The decision to sell your Spanish home is personal for everyone. Some would like to live bigger, others actually smaller, some would like to move back to their own country or move elsewhere. Regardless of the reasons why selling your home in Spain can be a dispiriting task, that’s why it is always a good idea to get educated on what to expect so you can prepare yourself properly and hopefully sell your home in Spain faster. One rule of thumb rings true, regardless what country you are trying to sell your home in, make sure your home has curb appeal! Before you put your home on the market, you need to first check if your home is in a good condition to be sold. Look at your property through the eyes of a potential buyer, finish small repairs and de-clutter your home taking out large furnishings and object that might make your home look smaller than it really is! Next, you need to make professional pictures, especially when selling your home in Spain where 90% of the homes are being sold and bought by overseas buyers who use the internet to look for their desired property. Good images and videos can contribute to a faster sale and more viewers. 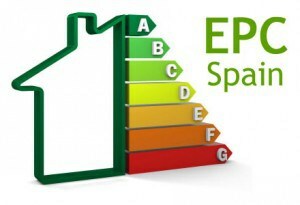 When you sell your home in Spain you will need to provide your potential buyers with an energy certificate when your property is larger than 50m2. Energy certificates are issued by qualified professional technicians or architects who are authorized to undertake building projects and thermal installations for buildings. The notary will ask you for the energy certificate when it comes to selling your home, so there really is no way around it, you will have to get one. Your estate agent can look after this for you and the fees depend on the size of your home but range from 155€ up to 300€. Next, you need to decide on the right price for your home. First, you need to find out how much the existing mortgage is, so you can calculate what sales price you need to ask for as a minimum. Then you need to find out what other homes in your area are selling for, your estate agent will be able to help you with this. What you have to be aware of when deciding on a sales price is taxes. If you make a profit from selling your home in Spain by selling it at a higher price than the price registered in the escritura from when you purchased your Spanish home, you will need to pay taxes over the profits. Are you a non-resident? In this case, you will pay a fixed 19% income tax. Are you resident? Then you will pay different tax levels depending on the profit you have made on the sale of your home. As non-resident, you will also need to keep in mind that the notary will hold back 3% of your sales price automatically as “deposit” for any outstanding tax bills you might have. If you don’t have any outstanding bills then you can ask for this money back again with the tax office who will then refund you the following tax year. In some cases, you can be eligible for exemption from paying property tax, in this blog we show you how. All these costs are important to keep in mind when deciding on a sales price for your home so you don’t get stung when it comes to settling up. Your real estate agent will have a list of costs you will need to be aware of so you can make an educated decision and are left with a healthy return on your investment at the end of the day! The moral of the story is, look for an experienced real estate agents like Space Marbella who know all the ins and outs of the Spanish requirements when it comes to selling your home in Spain but best of all, know all the tricks of the trade to make sure you walk away with the highest possible return!